The TaylorMade rac HT features a low and deep center of gravity which combines with an oversized, cavity-back head for AWESOME FORGIVENESS. 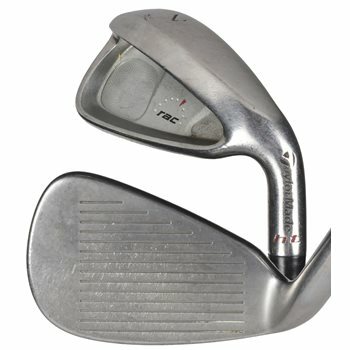 The Tuned Performance Cartridge in the back of the sole provides the player with unmatched feel in a forgiving iron. What grips are on these shafts? Can you please email me pictures? We do not have the ability to notate the grips on the clubs that are available as we ship from multiple locations and could have more than one of the same item. All of the iron sets are pre-boxed as well. All of our clubs will come with a playable grip.